Enter your email address to get three post-apocalyptic short stories (the short story that inspired the novel, an interactive post-apocalyptic horror short story designed to introduce you to the world of The Darkening, and the first 4 chapters of the novel) straight to your inbox. You will also be added to my Followers Club and you will be the first to know the next time I have more cool stuff to give away. Your privacy is important to me, so your email address will never be used for spam! Check your junk folder for the confirmation email if you can't find it in your inbox. Would you like to receive free short stories? Do you want to receive emails from me that will include more freebies and details of special offers etc? 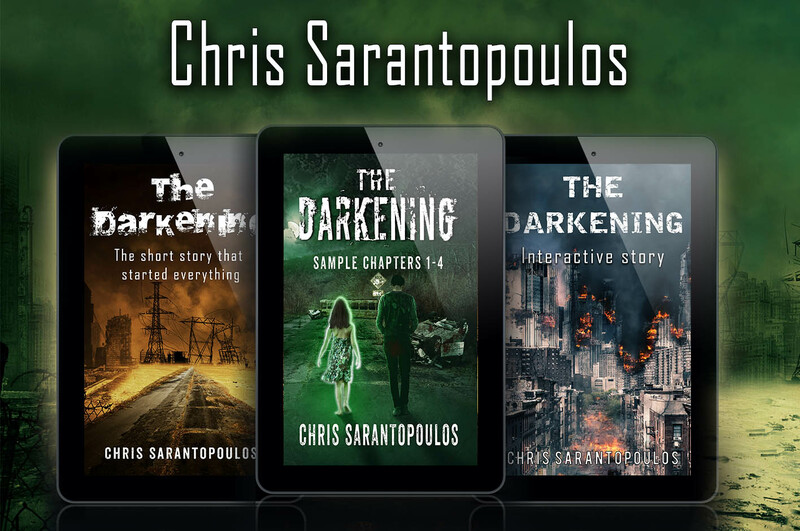 You can change your mind at any time by clicking the unsubscribe link in the footer of any email you receive from us, or by contacting us at writer@csarantopoulos.eu. We will treat your information with respect. For more information about our privacy practices please visit our website. By clicking below, you agree that we may process your information in accordance with these terms.